The Beatles made their United States debut 50 years ago on this date in 1964 on “The Ed Sullivan Show.” By September, the Fab Four were appearing at Dodger Stadium in a promotion straight out of left field. Stumbling in the 1964 standings and on their way to a sixth-place finish in the National League, the defending World Champions decided to jump on the Beatles bandwagon. 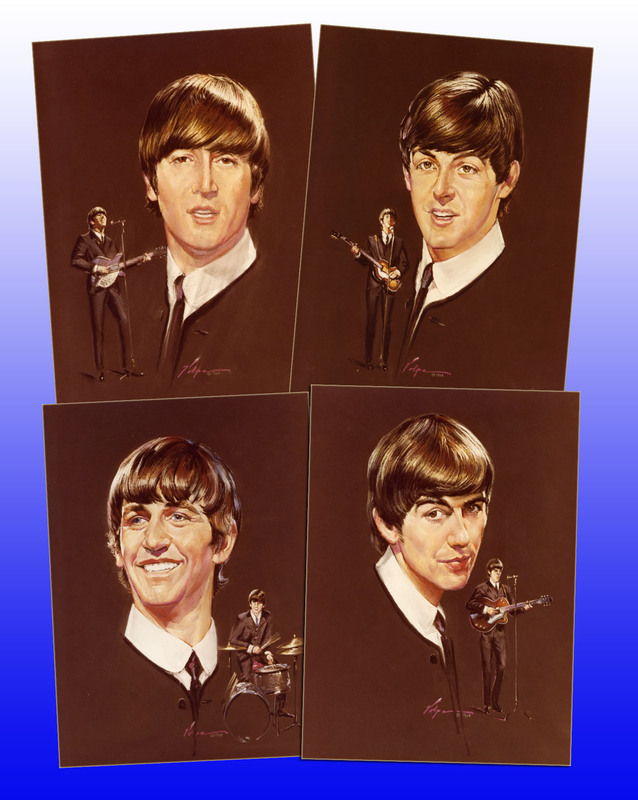 To boost late-season box office interest, the team offered 12″ x 18″ portraits of the British singers by artist Nicholas Volpe, whose Union 76-sponsored illustrations of various Dodgers since 1959 had proved popular with Dodger fans and collectors.